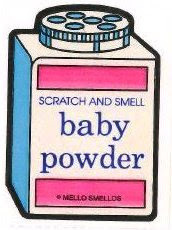 Most baby powders out there contain talc which surprisingly is considered a toxic ingredient. It has been linked to cancer and can be irritating to your babies respiratory system. Who would have thought such a common household product could be harmful? Here is an easy eco friendly way to make your own baby powder and after shower powder for yourself :) Reuse your old powder container for easy dusting!